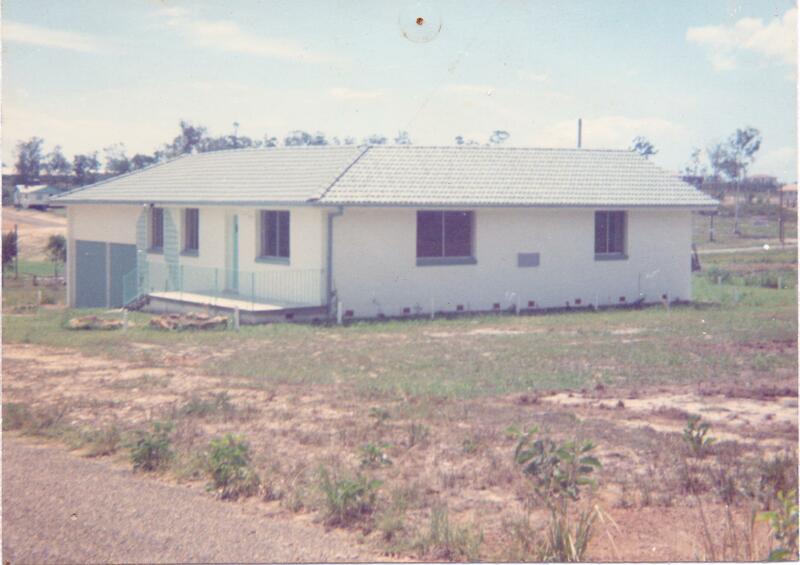 I was 12 years old and was ordered by the High Court in London to leave to join my father Frank a Bricklayer and Brother Bern and two step sisters and step Mother in Queensland in the summer school holidays of 1967. I flew unescorted from Heathrow to Sydney via New York, San Francisco, Honolulu, Fiji Sydney, 48 hours in those days. I was directed to an Ansett ANA flight to Brisbane with lots of people concerned about this little Pomme Kid on his own..When I arrived at this big hanger in Brisbane every one was happy to meet old friends and family and slowly the hanger emptied with just a few staff milling around..With no one to meet me, I thought at first I was in the wrong state but soon confirmed I was in Brisbane..I was so tired (jetlag) 48 hours flying in those days..I took my old Holdall mum packed for me with my few possessions and went and sat outside in the sun...some time passed as I fell asleep and a female airline worker waking me saying in her strange Australian accent so different from my cockney London "are you Stephen Trude" I confirmed and she relied "Gee,s your Fathers going crazy we been looking all over for you." This wasn't good news to me as to upset the old man meant one thing..she asked me if I was hungry (all in all pretty stupid questions to a little kid who has just left his Mum and flown half way round the world on his own) I politely said yes and she pointed me towards the Restaurant, which I gave a miss as I only has two shillings and besides they might make me eat cabbage.Soon after the doors swung open and my dad appeared with my older Brother Bern who had grown so much in 6 months his hair bleached blond in the sun with a deep tan and Blue Blue eyes smiling happy to see me, my attention was soon returned as a heavy Bricklayers hand caught me behind the back of the head with a slap and the old man Saying "we been looking all over for you, where you been." I looked back to Bernie and he laughed and said welcome to Aus Steve.